Oklahoma Connection | Kirkpatrick was born in Mangum, Oklahoma, and moved to Oklahoma City at the age of one. Eleanor Kirkpatrick was the organizer and first chairman for Oklahoma City’s Beaux Arts Ball that benefited the Oklahoma City Museum of Art. In 2002, the Eleanor Kirkpatrick Memorial Tower at the Art Center was dedicated with the 55-foot blown glass Chihuly sculpture. Native Oklahoman Eleanor Blake Kirkpatrick received her education at Miss Madiera’s in Washington, D.C., MlleLa. Fontaine’s School in Cannes, France, University of Oklahoma and was graduated from Smith College with a B.A. in French. She married John E. Kirkpatrick in 1932. Always active in civic work, she began as a provisional member of Junior League in 1932. Away from Oklahoma City for a number of years, she returned here to live in 1941 at the outbreak of the war, when she served as Home Service Chairman for the Red Cross. In 1947 she served on the Budget and Program Reviewing Committee of the YMCA and continued to be active on the Residence Committee for many years. 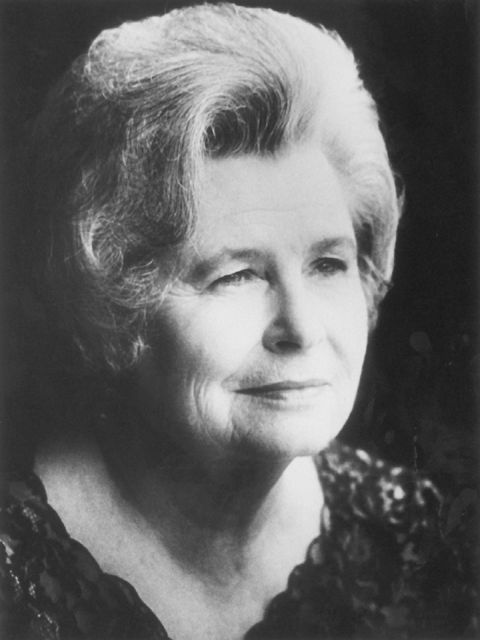 From 1949 until 1953 she served as president of the National Society of the Colonial Dames of America in Oklahoma, as well as serving on numerous other boards of many local, state, and national charitable organizations. In 1962, Mrs. Kirkpatrick was elected as “Woman of the Year” by the Oklahoma Chapters of American Women in Radio and Television.